You matter. Preaching matters. Your preaching matters. But don’t mix these up. You matter – you are a person for whom Christ died, a person who has been bought with a price and baptised into the body of Christ to participate in the fellowship and life of God himself. Just like the people you preach to, your worth and value are to be found in Christ. Preaching matters – what God has done in Christ for your listeners and you is truly worth sharing boldly and openly. Preaching matters because God is an incarnationally-minded communicator and as a result, we have something to say. Preaching the word of God has always been a key part of God’s mission in this world, for there is a revelation and a proclamation at the core of that mission. Your preaching matters – you may not be so-and-so famous preacher who draws huge crowds, but you are more than just the person scheduled to preach this next time. The people gathered have a divine appointment with the word of the gospel, so you will want to give your very best for their sake, and for His. The famous preacher is not scheduled to be there, by God’s providence, you are. 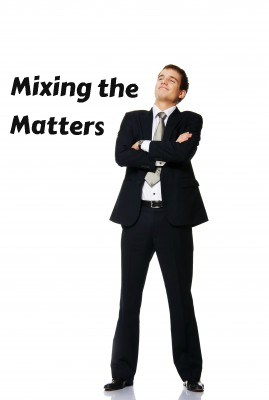 Don’t mix these up – one of the ways we can get into trouble as preachers is to start to confuse these truths. Since preaching matters, I matter because of my preaching? Careful! The moment we confuse our identity in Christ with our role in ministry, we are set for trouble. I recently heard of a visiting preacher who marred his reputation by his reaction to a circumstance that thwarted his opportunity to preach. It is good to take your preaching seriously, but never think you are indispensable. It is good to serve God in preaching, but never let your identity be determined by it. Your preaching matters, but God can, and does, work apart from your ministry.